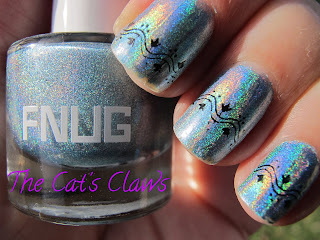 You will have to excuse the tip wear this picture was taken after a day at work and Fnug holographic polish does not wear well. So I'm sorry to say you will only get to see one picture of Fnug 39 Futuristica a sky blue holographic polish that costs an arm and a leg from Denmark. 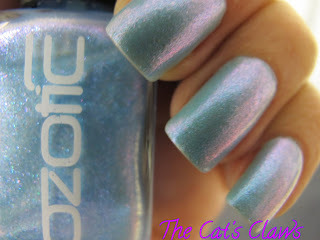 This was one coat Fnug aqua base coat followed by two coats of Fnug Futuristica. Oh and I bought some stamp plates from Konadlicious' blog sale, which I just happened to try that evening. I used Models Prefer Little Black Dress, a perfect one coat black. A week or two ago, Pretty Serious had a sale on where all the colours in her first collection were half price. I immediately jumped at the chance to acquire the entire collection of six, and of course the first colour I had to try had was the blue one, BSOD to be precise. Just look at that colour it's gorgeous! This was two coats followed by a Seche Vite topcoat. The brush and application were flawless too. 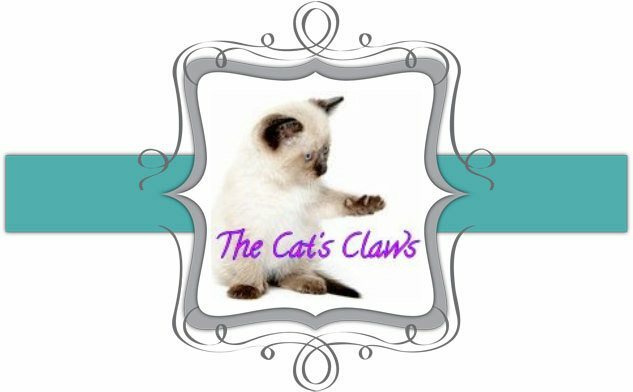 I'm so impressed with this collection from a blogger turned creator of Pretty Serious Cosmetics that I will be buying her new collections from her website found here. Continuing with the Ozotic Pro 900 series, here is 903 a beautiful baby blue. 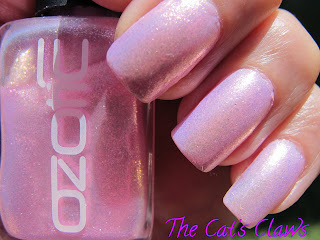 Which has the duochrome glass flecks turning blue through to pink. And the undies of choice was Nubar Blue Hydrangea a soft baby blue colour from Nubar Spring Garden Collection 2011 (YES the first time I went and bought an entire collection of nail polish!) So on to my mani two coats of Nubar Blue Hydrangea followed by two coats of Ozotic Pro 903, a coat of Seche Vite to protect my mani. 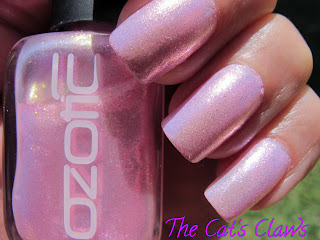 And then then to finish one coat of Ozotic Pro 903 again to really bling out my nails. 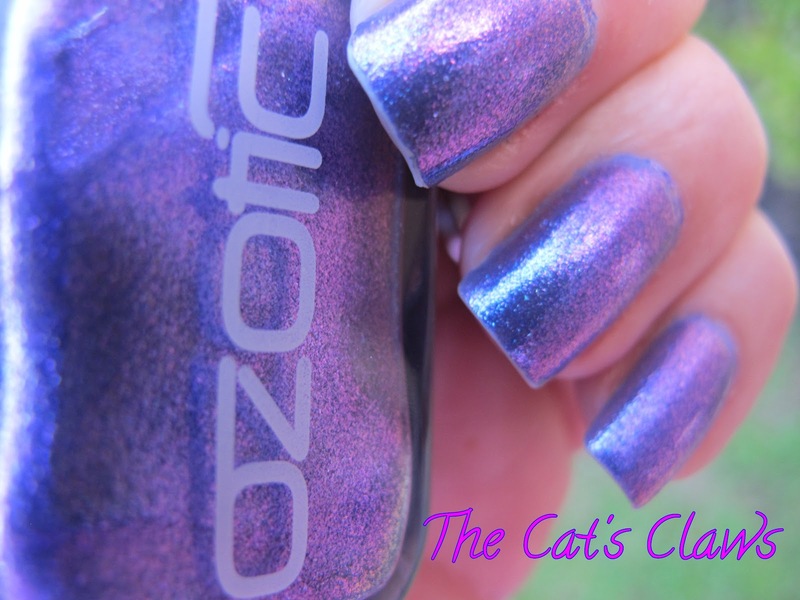 I find that by doing my mani this particular way the Seche Vite coat protects my mani, whilst the last coat of Ozotic Pro 903 gives out that wonderful sparkle and glitter without any dulling. The obligatory indoor shot where you can see the gorgeous soft colour change going on! As you may have noticed by now, I am not showcasing the first four Ozotic Pro 900's over black or white as several other excellent blogs have done. Instead I have layered them over a base colour similar to the base colour used in the actual polish, this has made them very glittery which is not showing up in my pictures! Full sunlight has washed out the colour again! 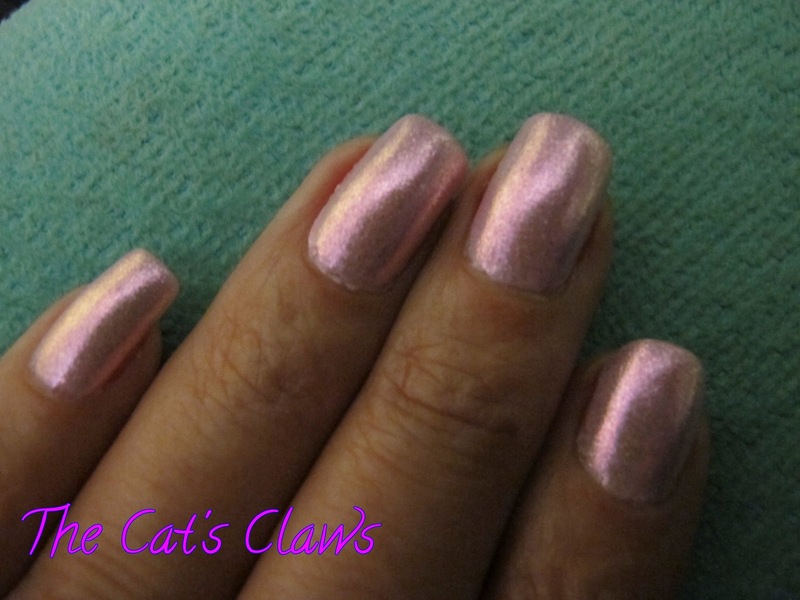 For this mani I used two coats of Essie 740 French Affair a cool toned pink and then two coats Ozotic Pro 901 followed by Seche Vite top coat. 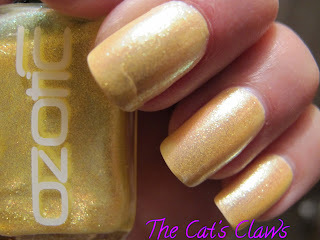 And finally, an indoor shot where you can see just how foil looking the Ozotic Pro 901 looks. 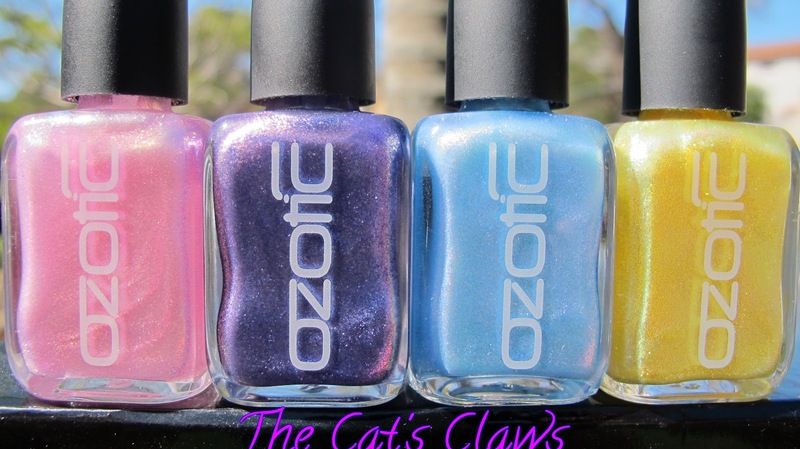 I just love all these new colours from Ozotic Pro, they are perfect for Spring. If you are wondering where to purchase these from, then wonder no more. They are available from Picture Polish or their many Network Members. 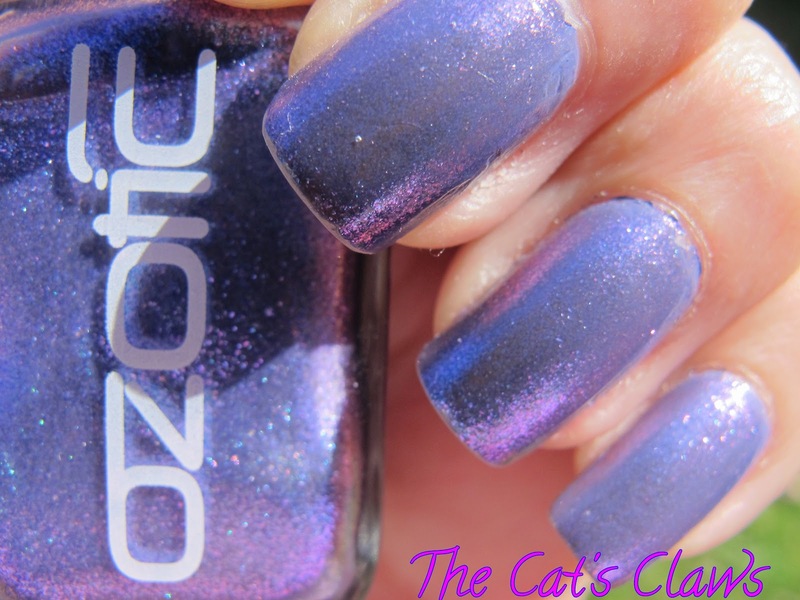 Ozotic Pro Sugar 902, this polish is divine and has jumped STRAIGHT to the Number One spot of my Favourite Top Fifty!! 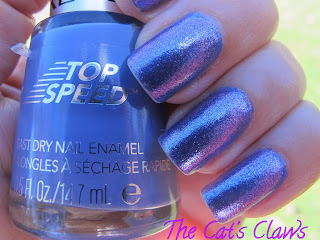 Toppling Picture Polish Wisteria and OPI Blue My Mind from their joint exalted position! I'm showing these shade pictures just so that you can see the wonderful blue glass flecks, which have the added bonus of being duochrome turning through purple to pink, looking very foilesque in low light. 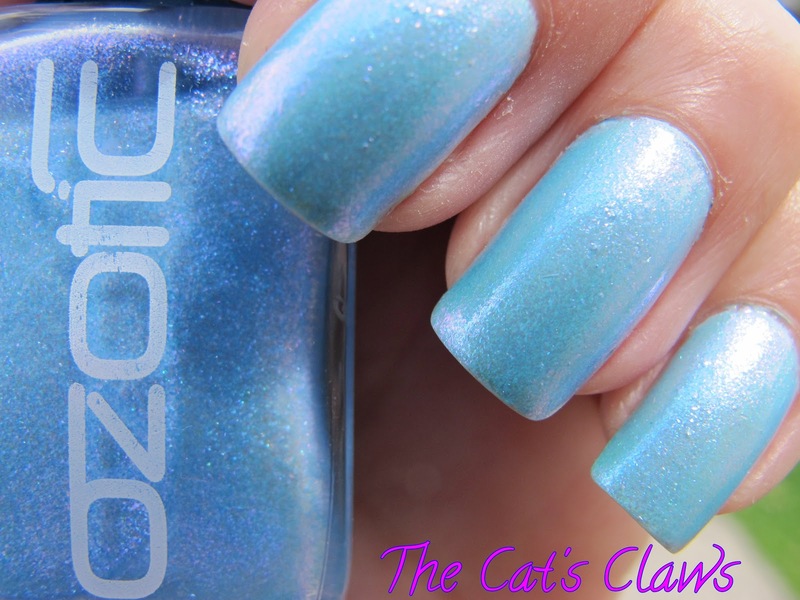 Ozotic Pro 902 is a true chameleon of the polish world being very glittery in one type of light and foilesque in another. And as an added bonus with every movement and angle a new colour is shown including pink! Shown in the next picture. 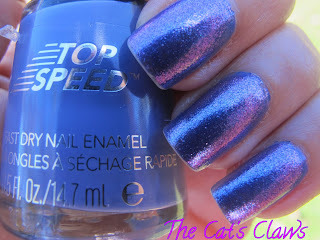 Yes I was that person that bought these as soon as I saw the pictures go up on Cathy's Blog and I was not disappointed! I could not believe my eyes when I saw the bottles of sheer prettiness come tumbling out of the packaging. I've only tried two and I must just say one has gone STRAIGHT to the Number One spot of my Favourite Top Fifty!! 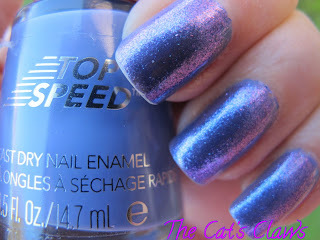 Toppling Picture Polish Wisteria and OPI Blue My Mind from their joint exalted position!